01.26.18 Can Moishe Mana Bring Amazon to Miami? Here we go again!! My RANT about misleading headlines!! 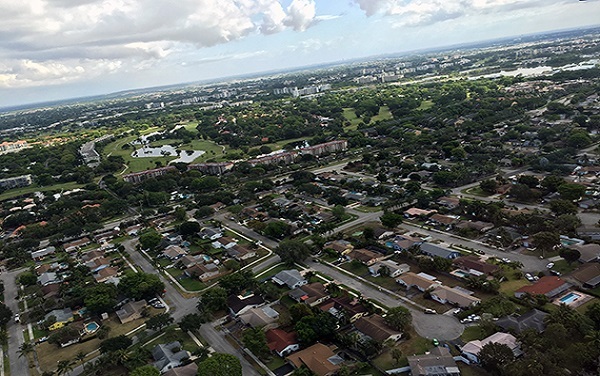 If you only read the headline in the article below your take would be that the Miami real estate market must be on shaky ground or in a bubble because "Home sales drop again in Miami-Dade and Broward." For those of you who follow me, you know that I can't stand it when national reports indicate that the Miami Real Estate market is in trouble. They garnish attention with a negative headline then somewhere in the fourth paragraph you will find a blip that will indicate something positive about our local market. The article has no choice but to cite the February sales numbers which were release today. Sales in the $200,000 to $600,000 range are up 10.5% over February 2016 and the median price for a home jumped to $321,000 or up 18% over last year. This jump is higher than what I would have expected and part of it may be the anticipation of higher interest rates. I don't doubt that we could be headed into a period that could be troublesome but before you have a market burst, the market needs to stabilize. At this point there is no telling when we may have a correction or even when it will stabilize. All we know is that the economy and the markets cycle and goes through correction periods every 7 or so years. Long term, real estate is still a sound investment. Long term, a homeowner may experience one, two or even three correction periods. Long term, your equity should increase a minimum of 4% annually amidst any market corrections. If you are thinking about cashing in on your equity and downsizing, you may want to look at selling in the near future. If you are thinking about buying, waiting for a market correction can be a costly mistake. If you review the article I have shared, nothing in the data being reported is indicative that a market correction is imminent. If you are contemplating either Buying or Selling and have some questions about how the current market affects your personal situation feel free to contact me at 305-582-4062. To read the article I reference about the Miami real estate market as published in The Real Deal click on the picture below.